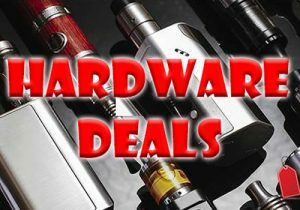 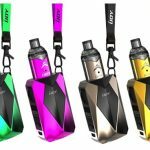 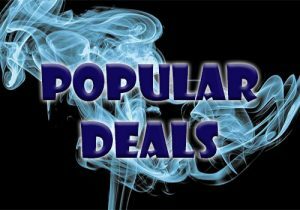 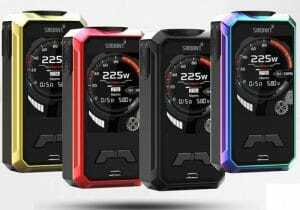 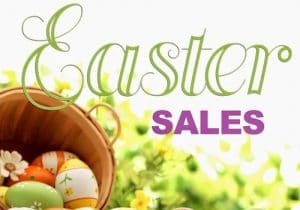 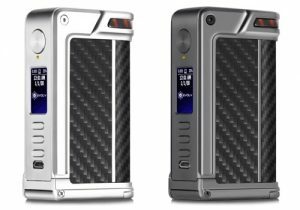 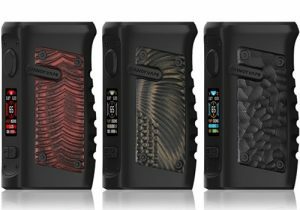 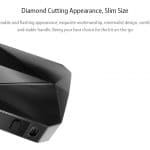 Here are cheap deals for the iJoy Diamond VPC Kit. 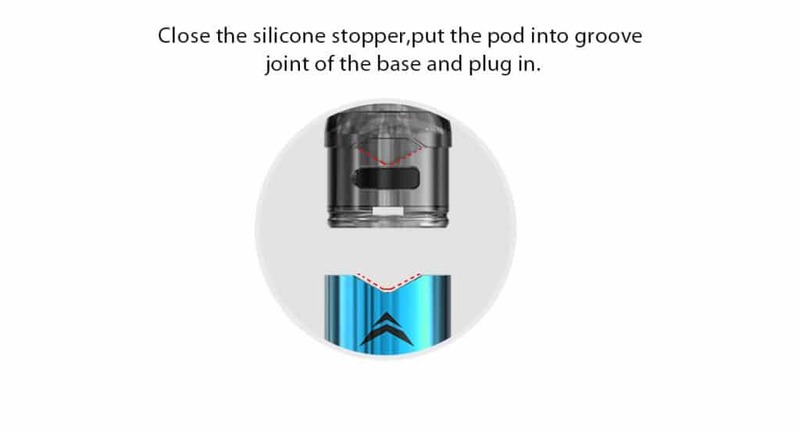 This kit consists of the Diamond Bae Mod and the VPC Unipod. 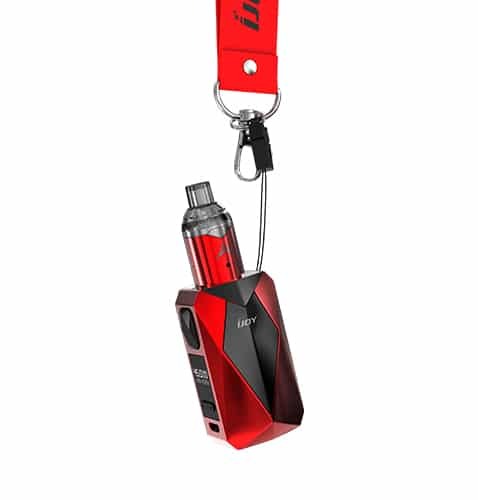 This setup features both a pod & power mode, a 1400mAh integrated battery, up to 45 watts of adjustable power, tiny dimensions, 1 ohm atomizer resistance for nicotine salts vape, a 2ml capacity and ceramic coils for clean puffs and more efficient wicking. 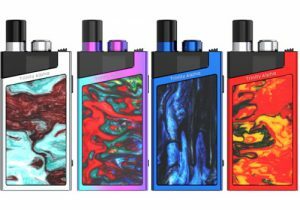 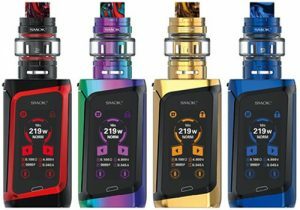 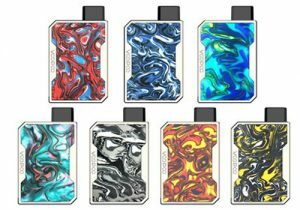 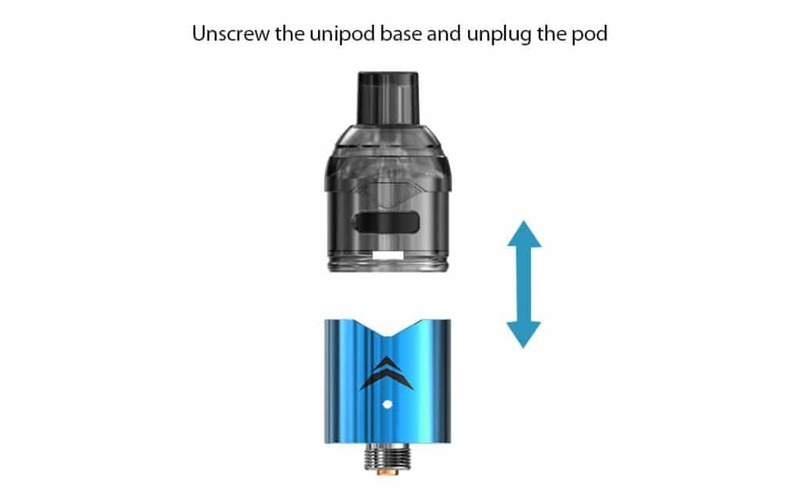 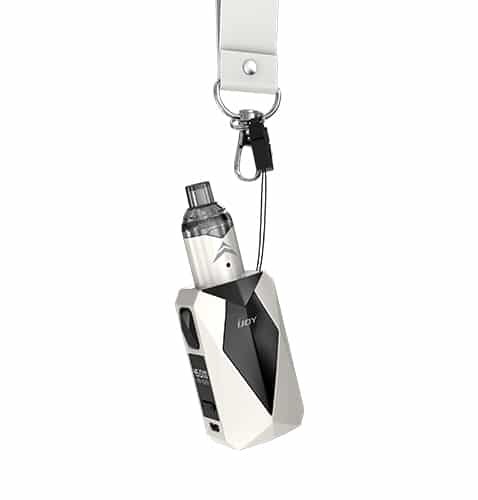 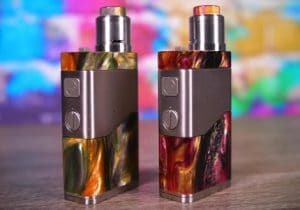 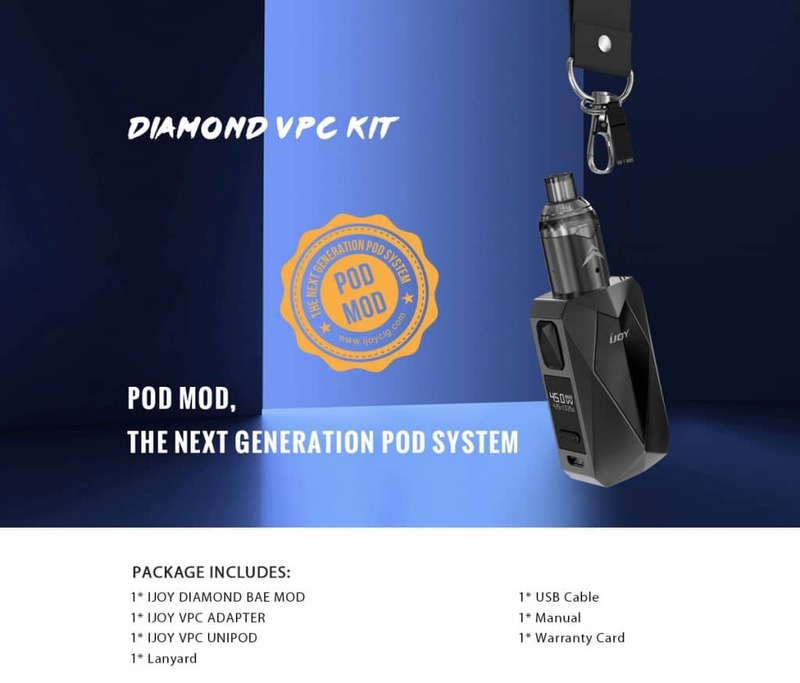 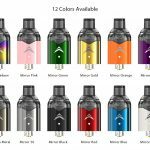 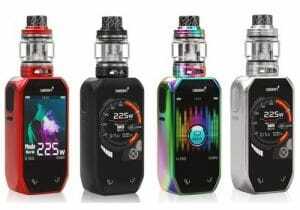 The Diamond VPC Kit is the next generation pod system so it integrates a small mod and a 1ohm VPC Unipod of which the design looks like a tank. 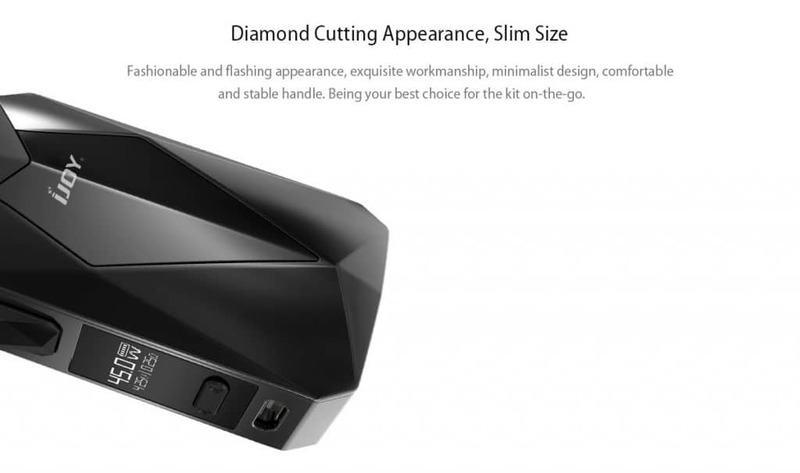 The theme of the Diamond VPC integrates a diamond-like appearance that looks fashionable and flashy and is made with exquisite workmanship, yet has a minimalist appearance. 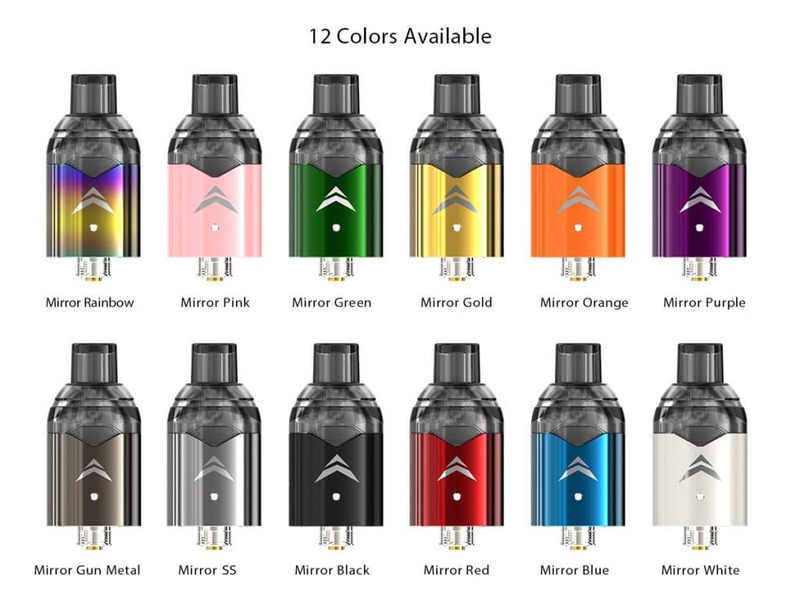 The Diamond VPC is also comfortable in the hand and available finishes included mirror rainbow, mirror white, mirror green, mirror gold, mirror purple, mirror orange, mirror gun metal, mirror silver, mirror black, mirror red, mirror blue and mirror pink. 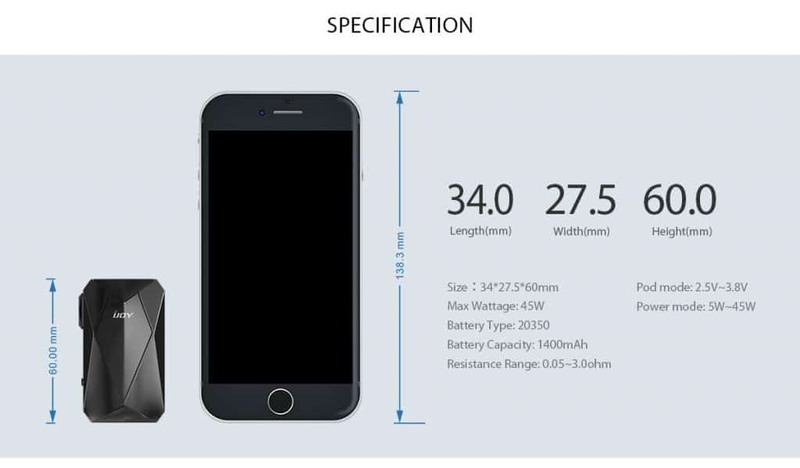 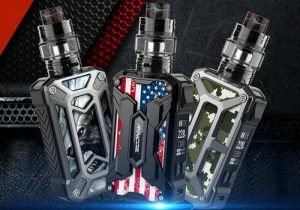 At the bottom of the iJoy Diamond VPC, you will see the Diamond Bae Mod which has dimensions of 34mm x 27.5mm x 60mm, making it less than half the size and width of a smart phone. 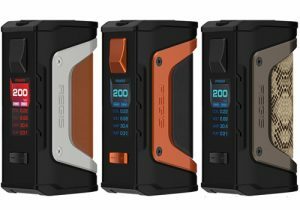 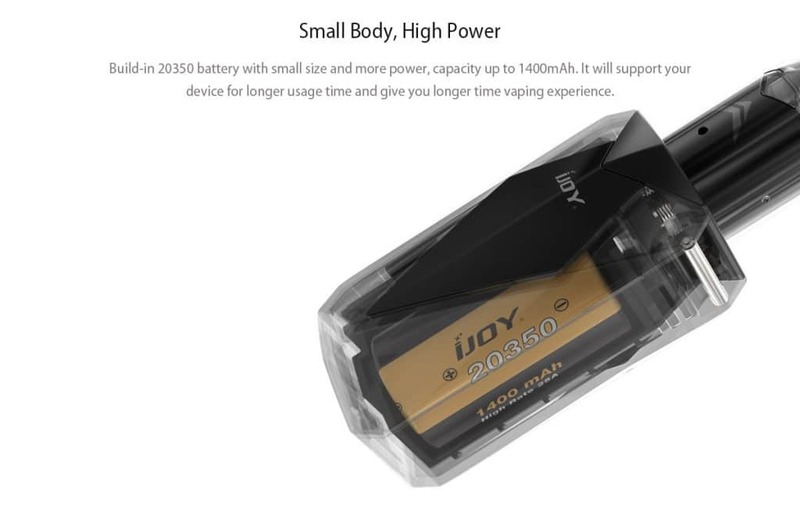 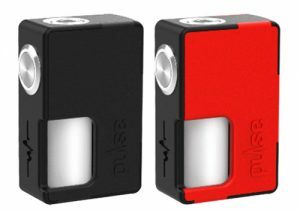 This small mod is made with a 20350 integrated battery that has a 1400mAh capacity and supports micro USB charging. With this cell, you should be able to vape for extended periods of time without a need to plug the Bae Mod in. 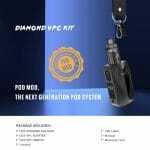 On the control face, you will see a large rectangular fire button that is shaped like a diamond to continue the general theme of the Diamond VPC Kit. 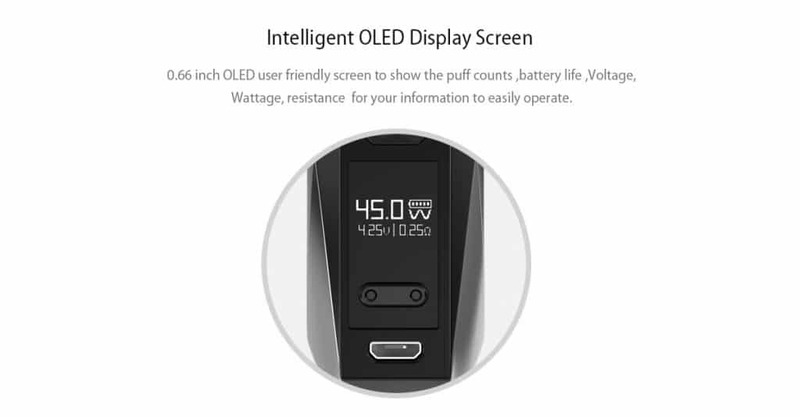 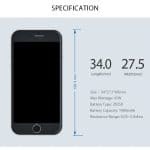 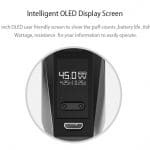 Underneath, there is a intelligent OLED display screen that measures 0.66 inch and has a vertical menu. 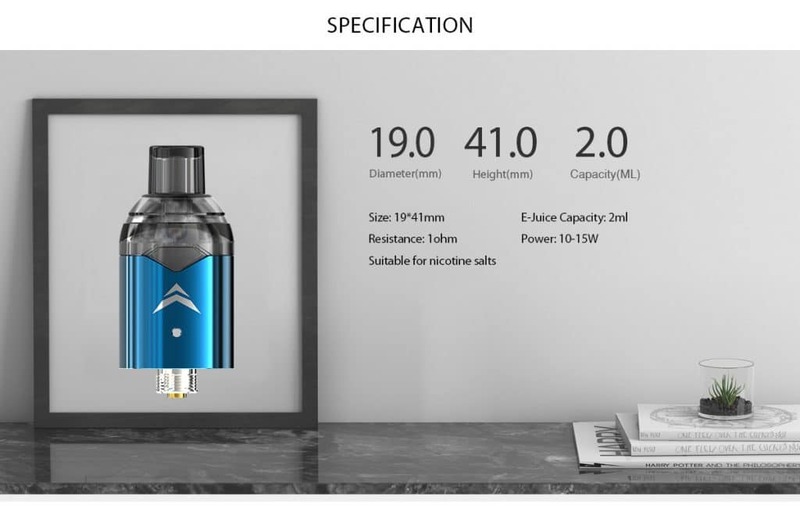 Indicators on the menu include current wattage, battery level, current mode, current voltage and atomizer resistance. 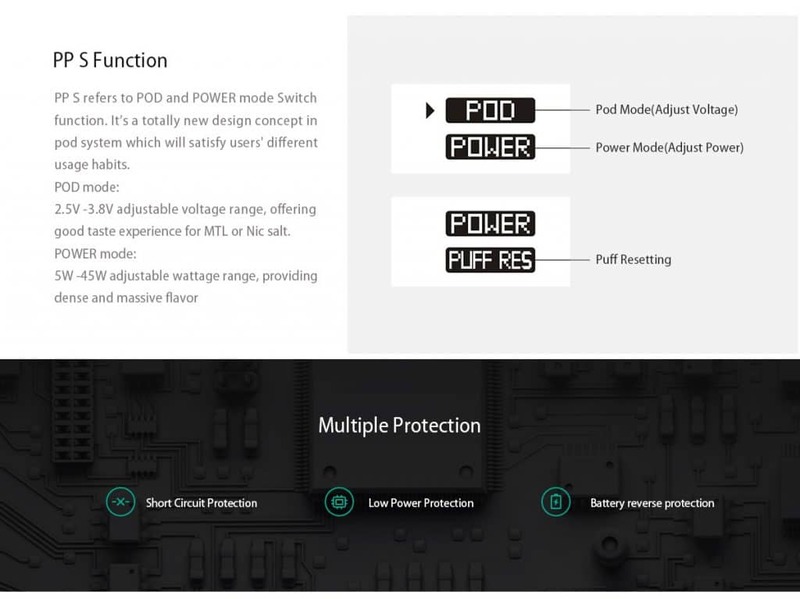 The mod has two different modes: pod and power mode. 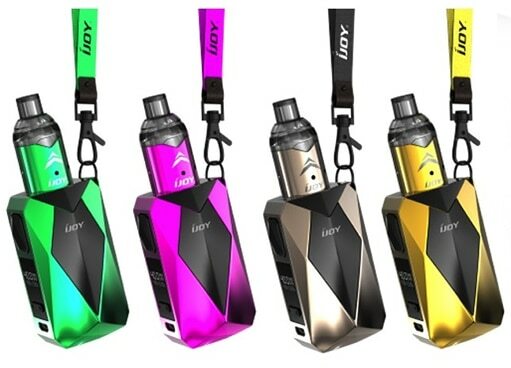 This is a completely new concept in cartridge kits to ensure all buyers of the iJoy Diamond VPC Kit are satisfied with each puff. 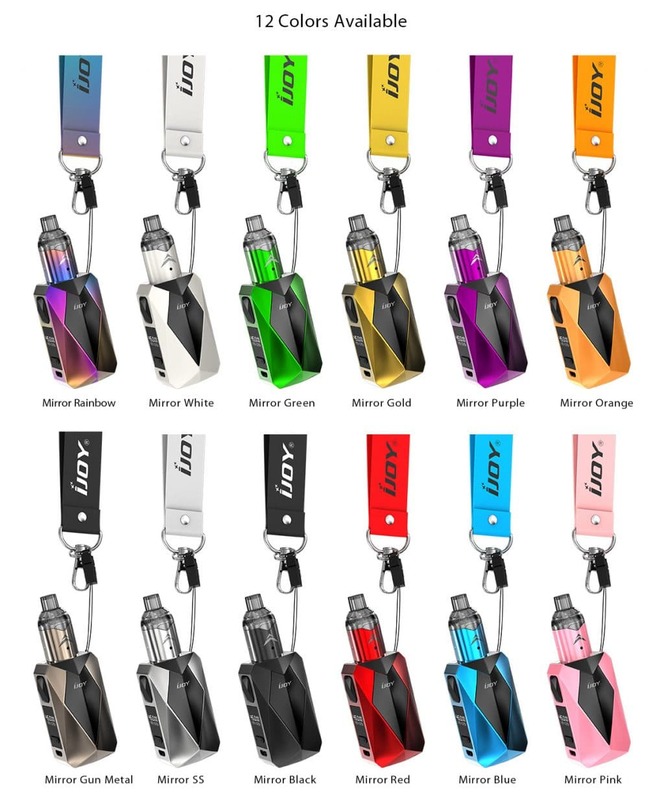 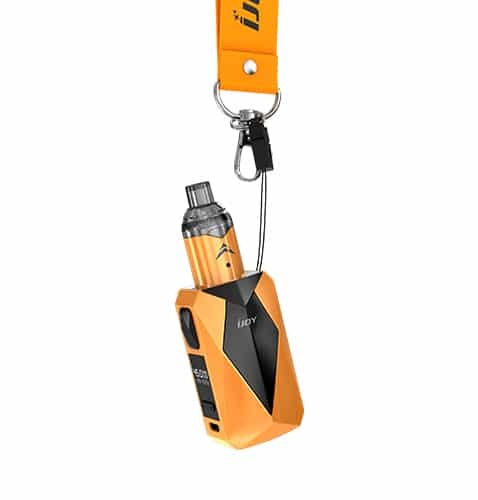 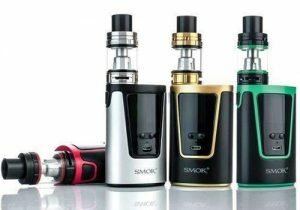 In pod mode, voltage output can be adjusted between 2.5 and 3.8 volts which provides for mouth to lung vaping with nicotine slats. 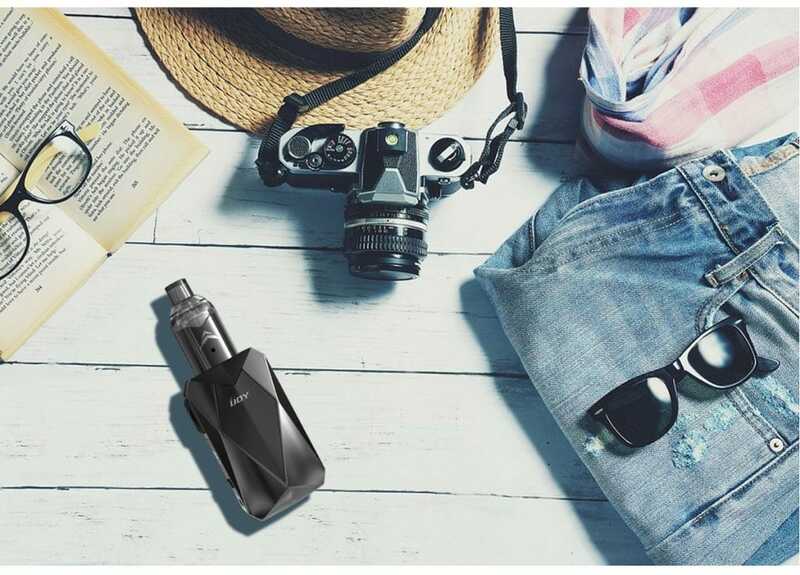 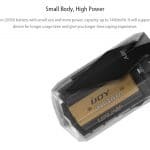 In power mode, the mod can fire in the range of 5 to 45 watts which results in more dense and massive flavor production and is perhaps not advised with high nicotine or nicotine salt e-liquids. 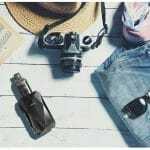 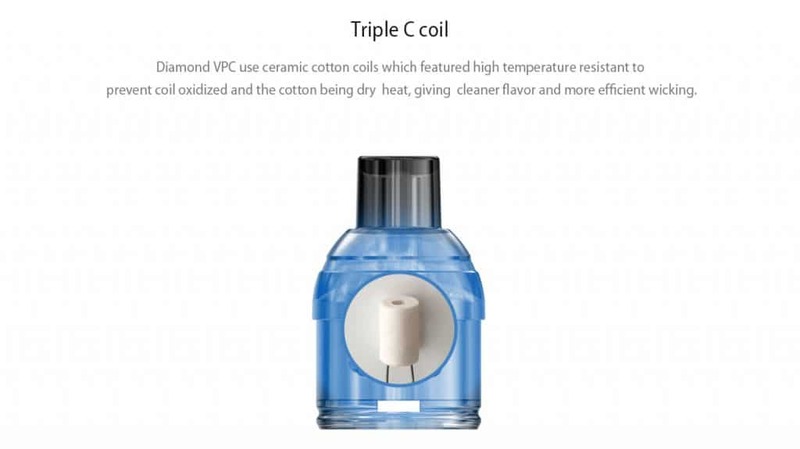 There are also three safety features to ensure a safe vape setup: short circuit protection, low power protection and reverse battery protection. 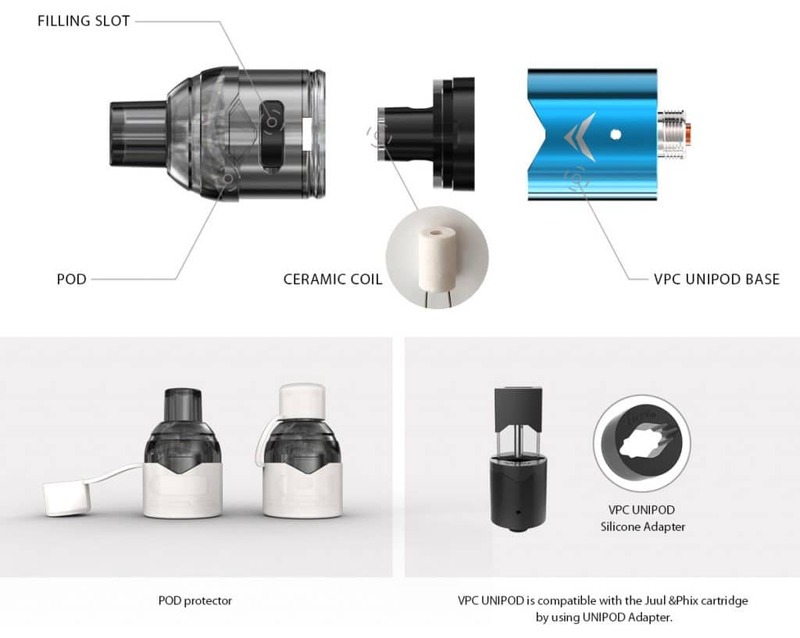 Installed onto the mod is the latest technology in pod systems: the VPC pod which is located inside a base with 510 threaded connection. 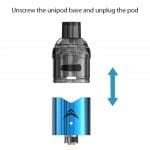 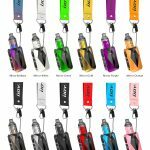 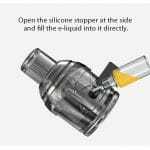 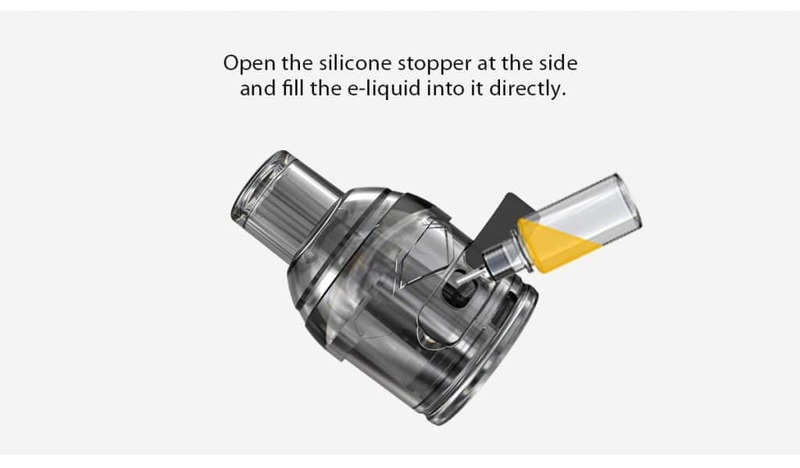 The refillable pod cartridge measures 19mm x 41mm , has a 2ml capacity and is refilled via a side filling slot that you simply squirt juice into upon removal of a silicone stopper plug. 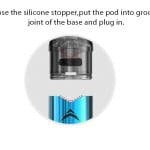 Inside each pod, there is a pre-installed 1ohm resistance Triple C coil, making it ideal for use with high nicotine or nic salt e-liquids. 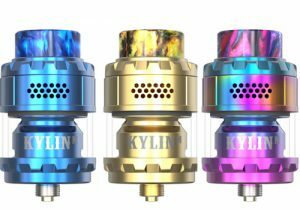 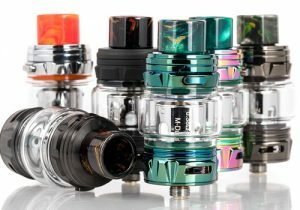 These replaceable coils are made from ceramic which is known for being highly resistant to extreme temperatures, for preventing dry puffs, for providing clean flavor, for stopping coil oxidation and for amazing wicking. The head fires in the range of 10 to 15 watts. 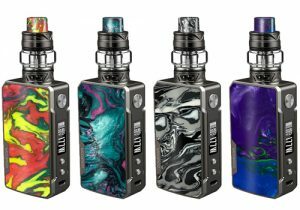 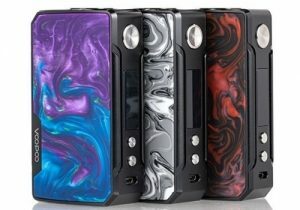 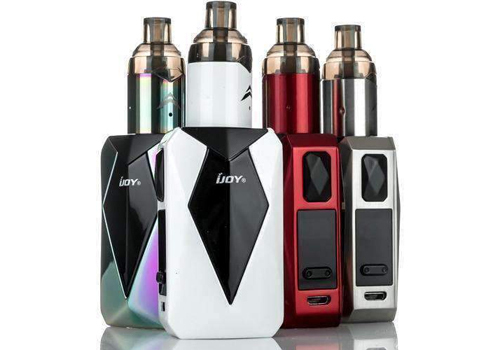 With purchase of the iJoy Diamond VPC Kit, you will receive the Bae Box Mod, one Unipod VPC atomizer tank base, 1 VPC Unipod, a micro USB charging cable and a warranty card.